We first heard that StarCraft Remastered was being readied for release back in March. Now Blizzard has filled in that missing essential piece of the puzzle and given us a launch date, and there's a pre-purchase price for the digital download. In a nutshell, StarCraft Remastered is released on 14th August and it's priced online right now for pre-purchase at US$14.99. The classic gameplay that has held gamers in its thrall for two decades is said to be unchanged. The developers have managed to make everything look and sound better and introduce modern gaming niceties such as cloud saving and improved matchmaking without messing around with this sci-fi RTS's enduring gameplay attractiveness. Mike Morhaime, CEO and cofounder of Blizzard Entertainment said this about the release: "Passionate gamers around the world are still playing Brood War, both with friends and competitively, so we're modernizing the technology behind StarCraft so that they can continue to enjoy the game for many years to come." Blizzard has some pre-purchase incentives for those interested in snatching StarCraft Remastered as soon as possible. 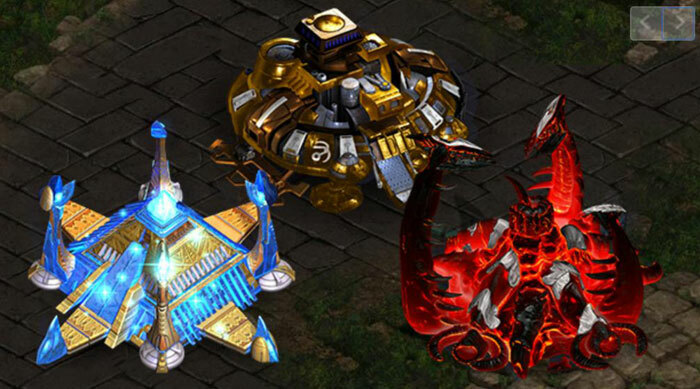 If you purchase before 14th August, the release date, you will receive three unique building skins for use in StarCraft: Remastered—the Char Hive, the Korhal Command Centre, and the Aiur Nexus (pictured above). You can add the following swag to that: digital bonuses in StarCraft II, including the Alexei Stukov co-op commander, and three unique portraits that celebrate StarCraft: Remastered. StarCraft: Remastered will be available for Windows PCs and Macs for $14.99 USD. The game will be fully localized into English, Brazilian Portuguese, European and Latin American Spanish, French, German, Italian, Polish, Russian, Korean, Japanese, and simplified and traditional Chinese. Blizzard is the only gaming company other than valve where I seem to buy everything that they put out. Can't help myself it seems…. Good price for this mix of nostalgic and modern cocktail. They're both subsidiaries of their parent company Activision Blizzard, which is the corporate core following the Vivendi Games/Activision merger.